Kilkenny College is located in Kilkenny City, Ireland. It was founded in 1538 by Piers Butler, Earl of Ormond and his wife Margaret. It replaced the School of the Vicars’ Choral. The School of the Vicars’ Choral stood to the West of St Canices Cathedral in the thirteenth century. Kilkenny College moved to John Street in 1666 but became so popular a new school was built on the same site in the 1780’s. Kilkenny College remained on John Street for the next 200 years. Having become co-educational in 1973, it moved to its present location on the Castlecomer Road in 1985. 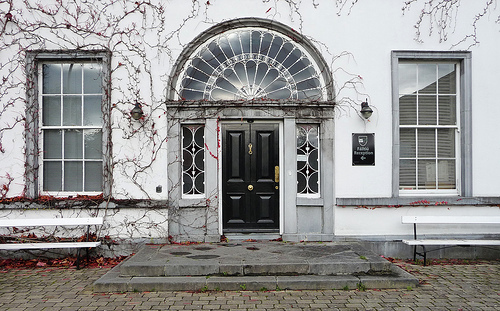 The old school building on John St, vacated by the college, is now the home of Kilkenny County Council. Kilkenny College is the Church of Ireland School of the Diocese of Cashel, Ossory and Ferns. However students in the school, who are both boarder and day pupils come from a wide spectrum of backgrounds and traditions. The College, which has both a strong academic and sporting tradition, boasts a long list of famous past pupils. These include author and satirist Jonathan Swift, Bishop George Berkeley and novelist John Banim. People such as Daryl Jacob (winning jockey in the 2012 Aintree Grand National), Jason Boland (Kodaline band member), Edward Moloney (international show-jumper) and Nick Murphy (co-writer of the award winning ‘Moone Boy’ series) are some of the more recent well known past pupils. Today Kilkenny College has a student population of around 800 and has recently entered the public free education system. Kilkenny College school principal announced that the school would enter the public free education system in the year 2013 On This Day.